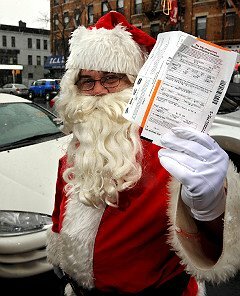 Santa's sled deserved ticket, union boss sez. The law's the law -- even for Santa. So says the tough-talking boss of the union representing the city traffic agent who ticketed Santa's sleigh in Brooklyn while he handed out presents to kids.